For my major project, I’ll be developing a virtual reality experience on the Oculus Rift. Up to now my knowledge has been based around Maya and After Effects but the undertaking of this project will mean I’ll have to extend my knowledge to a few other programs, namely Mudbox (a digital sculpting tool where I’ll create the lead characters) and Unreal (for building the game). The biggest unknown for me right now is Unreal. I’ve been doing my homework into both Unreal and Unity so I can decide which one is best for me to use and I’ve chosen Unreal. It’s a development tool for people who aren’t keen on coding (which is totally me) but apart from that, it’s meant to yield much better graphical results than Unity. 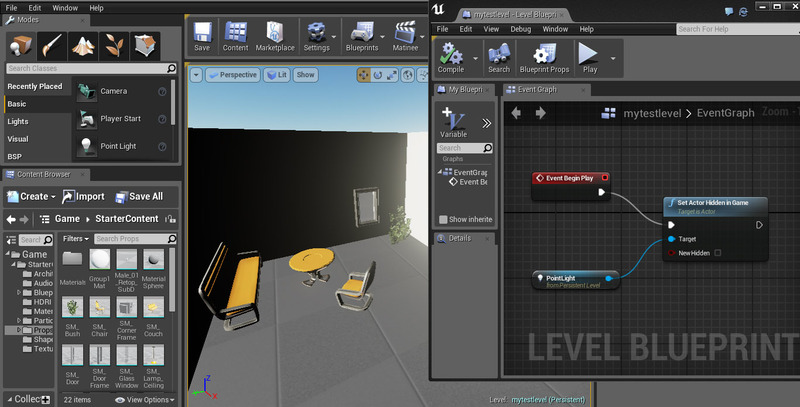 There is thankfully, plenty of free resources around to get stuck into learning Unreal – and I’ve been getting into those – using them to learn my way around the interface, build simple scenes and get started in Blueprint.